Get crafty during our Book Jewelry Workshop on Feb. 26 at the Concord Township Community Center. 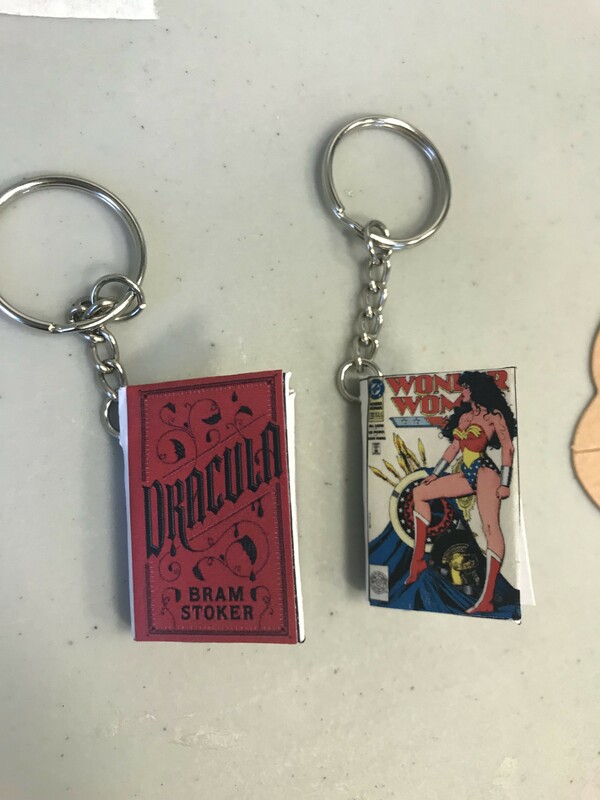 Our reference librarian will show you how to make book-inspired necklaces, earrings and key chains. Then you can wear a good book anywhere. You don’t need to bring anything. We provide the supplies. The workshop is free. We only ask that you register. To sign up, call the community center at 440-639-4650. This entry was posted in Uncategorized and tagged craft, crafts, jewelry, Mentor Public Library. Bookmark the permalink.